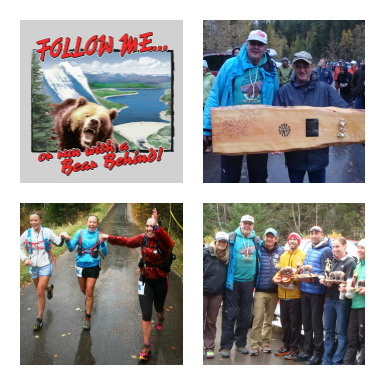 Since 1982, the Le Grizz 50-mile Ultramarathon has commenced every autumn on the second Saturday of October. For the past 33 years, upwards of 100 runners have stood half awake on the frozen ground near Spotted Bear Ranger Station alongside the Hungry Horse Reservoir, waiting anxiously for a ceremonial shotgun blast to signify the start of one of the oldest 50-mile footraces in the world, and the first in Montana. For those 33 years, the man with his finger wrapped around the trigger has been Pat Caffrey. Alongside Pat has been the Cheetah Herders, a gratitous group of self described misfits. The Herders promote athletic participation of their peers and formed to conduct sporting events in wildland setttings. 2015 marks changes to the Le Grizz both in ownership and location. The Polebridge Mercantile has purchased the event and moved it to the North Fork of the Flathead River. The race will start and finish at the historic Merc. Pat Caffrey will be assisting the Mercantile in event transition through 2016, and intends to remain involved in the event for the foreseeable future. The new venue and organizational team will do their best to meet the two basic requirements of the Le Grizz – gorgeous, eye-popping scenery, and the chance to be chased by a grizzly bear.